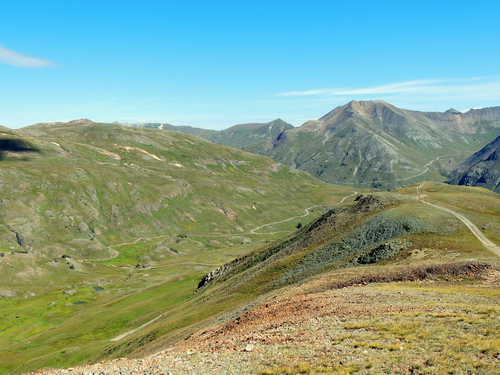 Great views and historic structures among alpine tundra up to 12,600' elevation. One of the most complete stamp mills remaining in Colorado. You can run this Jeep trail in any direction, but we like to do it in the order shown on the map. First to the high point on Picayune Gulch, down and back to the Treasure Mountain Mine then in and out to the Sound Democrat Mill. ​The high spot on Picayune Gulch offers great alpine views of the Animas Valley and the 3 gulches leaving it on the east side. Also a nice overview of Picayune Gulch. 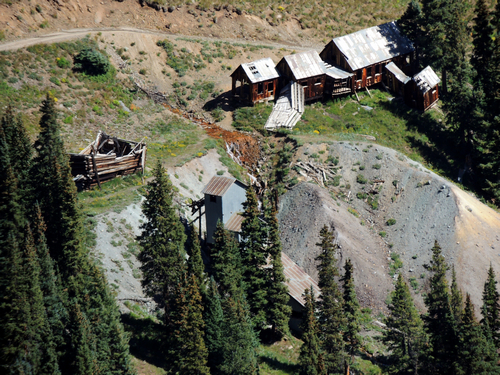 Treasure Mountain Mine has a bunkhouse, blacksmith shop and stamp mill in fairly good condition. The bunkhouse/blacksmith shop has been closed off to public access. 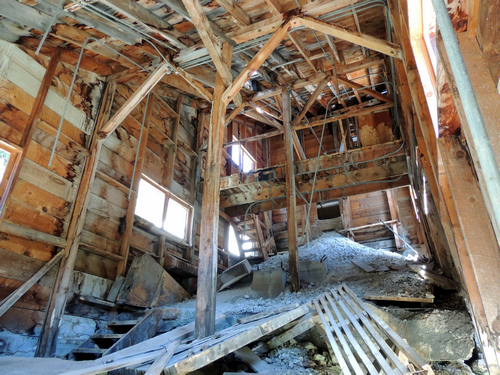 No equipment is left in the stamp mill. The Sound Democrat Mill is a seven stamp, five concentration table, ore-processing mill built in 1905- 1906, and remodeled in 1909. 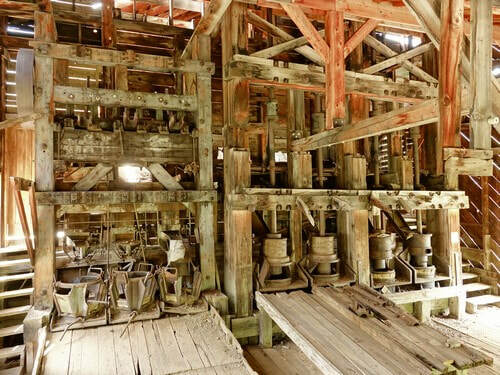 It is a typical amalgamation and concentration stamp mill built to treat gold and silver-lead ores. 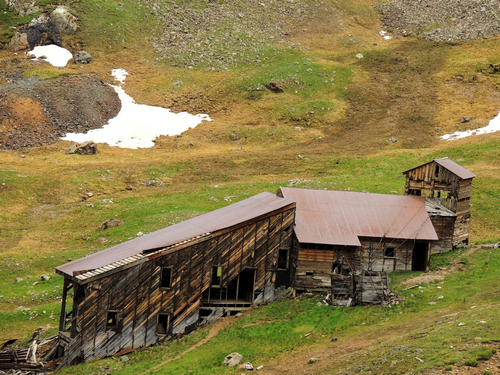 It is the last standing stamp mill in the productive Eureka district, and one of the most complete stamp mills remaining in Colorado. History of the mill. Preservation plans. 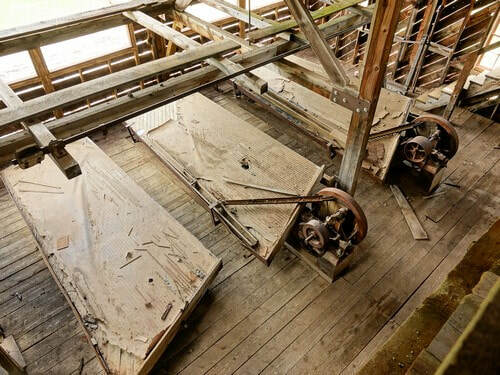 The engine room was at the top of the mill and pulleys and belts were used to transfer power throughout the mill. 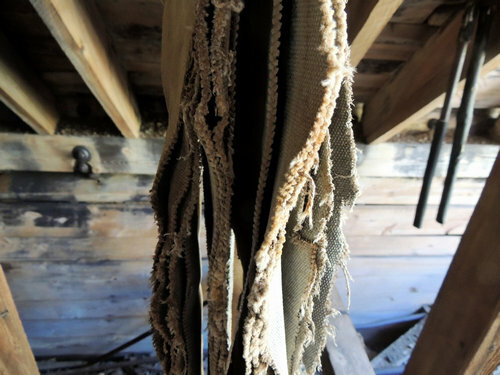 A few old belts are still hanging around. Wilfley tables are shaking, gravity separation tables used to concentrate gold - similar to panning for gold. 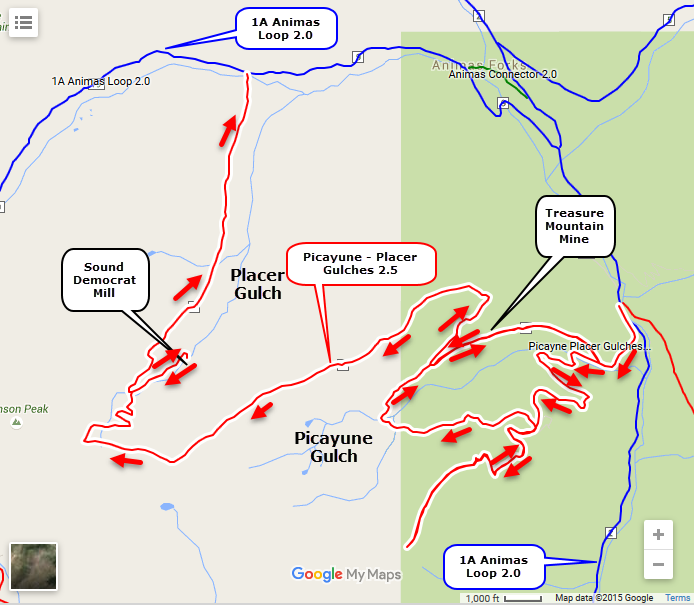 Picayune Gulch is also known as Picayne Gulch. It can be found written both ways.